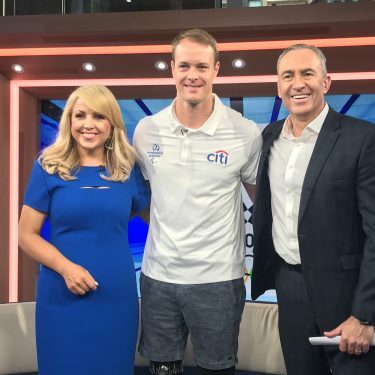 After closing proceedings in Vancouver four years ago, Cameron Rahles-Rahbula will open them in Sochi on Friday night after he was announced as the Australian team flag bearer for the 2014 Paralympic Winter Games. “It’s an unbelievable honour, I can’t explain the feeling,” Rahles-Rahbula said. “It’s my fourth Games. It was a highlight just to make this team for my fourth Games but to be named Flag Bearer is a very special moment. When asked how he would handle the role of leading the Australian Team into the stadium on Friday, a relaxed Rahles-Rahbula said he would take it all in his stride. “I won’t be nervous at all I don’t think. It’s more about making sure I enjoy the experience,” Rahles-Rahbula said. The 30-year-old is the most experienced on the nine-athlete Australian team competing for medals on the slopes of Sochi from March 7-16. 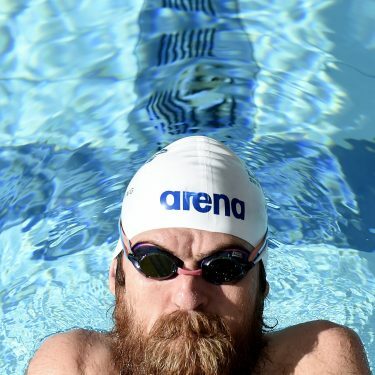 He is a four-time Paralympian – the only remaining member from the triumphant 2002 Australian team that won seven medals in Salt Lake City, including six gold. But Rahles-Rahbula did not medal himself until the 2010 Vancouver Games, where the leg leg-amputee took two bronze (Super-Combined, Slalom), after top-10 finishes in Torino in 2006. His breakthrough in Vancouver earned him the right to carry his country’s flag at the 2010 Closing Ceremony. And now he has the honour of leading his country out in Friday night’s Opening Ceremony at the Fisht Stadium. It is expected around 780 athletes from 45 countries will compete in Sochi. 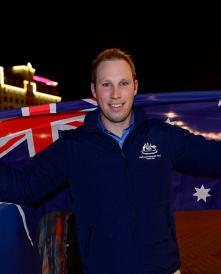 The Flag Bearer announcement was made a special ceremony on Tuesday at Rosa Khutor in Sochi’s Mountain Cluster. 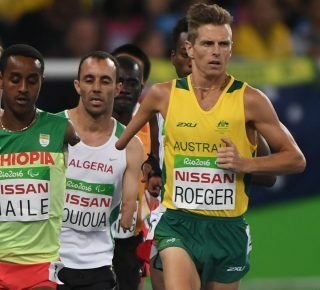 Australian Chef de Mission Chris Nunn said Rahles-Rahbula was highly deserving of the honour and would lead his team mates with great distinction. 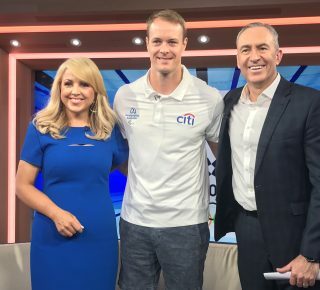 “This is recognition of an outstanding athlete who has represented Australia at the highest level for more than decade, and who embodies what it takes be an Australian Paralympian,” Nunn said. Rahles-Rahbula’s success at the previous Paralympics, a thriving physiotherapy career, his wife Emily and his young son Archie were the ingredients leading to him announcing his retirement 18 months ago. But it didn’t last long. 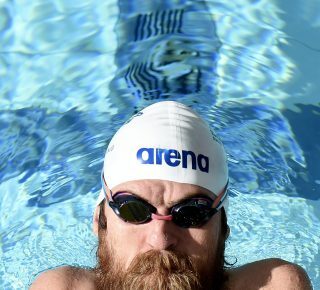 The lure of a fourth and final Paralympic Games was too great and he made a comeback for Sochi last year. The Australian Team consists of 11 athletes in Sochi – nine athletes and two sighted guides. 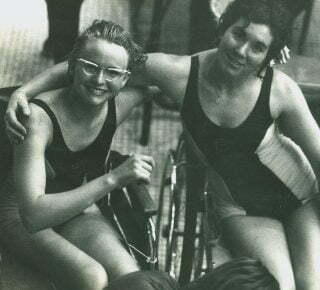 Australia has appeared in ever Paralympic Games since the first in Ornskoldsvik, Sweden in 1976. The first medals, including the first gold by an Olympic or Paralympic winter athlete, were taken at the 1992 Albertville Winter Games when Michael Milton won the Slalom for his disability class – his first of six gold in a career spanning five Winter Games. Milton is now an assistant coach on the Australian national team. 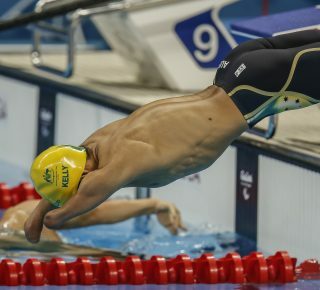 The Australian team has won 28 medals since Albertville, 11 of them gold. The team won four medals in Vancouver in 2010 – a silver and three bronze.